Whilst working on MacGraph, a neural network that answers questions using knowledge graphs, I came across a problem: How to tell if something’s not present in a list. In this article, we’ll show you our solution, the focus signal, and show how it performs reliably across a range of different datasets and architectures. In traditional programming, it’s easy to tell if something is not in a list: run a for loop over the items, and if you get to the end without finding it, then it’s not there. However, neural networks are not quite so simple. While loops can be inefficient on GPUs, and sometimes not even useful as often neural network libraries require all data to have the same dimensions (e.g. TensorFlow executes on a statically defined tensor graph). The scores are then passed through softmax to transform them into a list that sums to 1.0. The scores can then be used as a probability distribution. Compared to a Recurring Neural Network (e.g. LSTM) it is much more able to refer to past values in the input sequence. An LSTM has to learn to sequentially retain past values together in a single internal state across multiple RNN iterations, whereas attention can recall past sequence values at any point in a single forward pass. 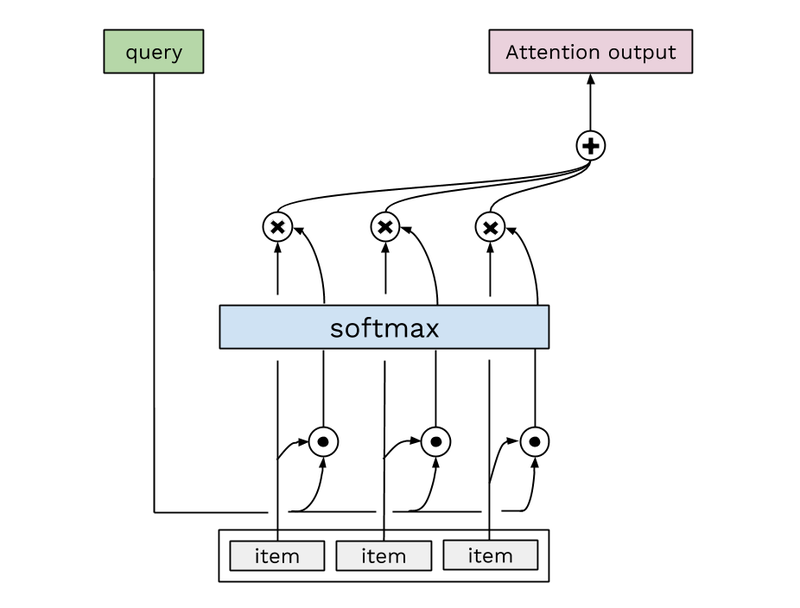 Despite attention’s versatility and success, it has a deficiency that plagued our work on graph question answering: attention does not tell us if an item is present in a list. This first happened when we attempted to answer questions like “Is there a station called London Bridge?” and “Is Trafalgar Square station adjacent to Waterloo station?”. Our tables of graph nodes and edges have all this information for attention to extract, but attention itself was failing to successfully determine item existence. This happens because attention returns a weighted sum of the list. If the query matches (e.g. scores highly) against one item in the list, the output will be almost exactly that value. If the query did not match any items, then a sum of all the items in the list is returned. Based on attention’s output, the rest of the network cannot easily differentiate between those two situations. The simple solution we propose is output a scalar aggregate of the raw item-query scores (e.g. before using softmax). This signal will be low if no items are similar to the query, and high if many items are. Finding that the focus signal was essential for MacGraph succeeding on some tasks, we tested this concept on a range of datasets and model architectures. We constructed a network that takes a list of items and a desired item (the “query”), and outputs whether that item was in the list. The network takes the inputs, performs attention (optionally with our focus signal), transforms the outputs through a couple of residual layers, then outputs a binary distribution¹ of whether the item was found. The network loss is calculated using softmax cross entropy and trained using the Adam optimizer. Each network variation has its ideal learning rate determined prior to training by using the learning rate finder. We then apply these network variations to a few different datasets, listed in the next section. The focus signal was found to be essential to the network reliably achieving >99% accuracy across the range of datasets and network configurations. Our experiments’ code is open-source in our GitHub. Each dataset is a set of examples, each example contains the input features List of items, Desired item and the ground truth output, Item is in list. An item is an N dimensional vector of floating point numbers. Each dataset was constructed so 100% accuracy is possible. For our word2vec dataset, we used pre-calculated word2vec embeddings trained on Google News, which can be downloaded here. The word2vec dataset has item lists of up to length 77, each representing a shuffled, randomly chosen sentence from a 300-line wikipedia article. Each desired-item is a randomly chosen word2vec vector from the words within the article. It must be noted that the network without focus signal did achieve > 98% accuracy in some configurations and datasets. 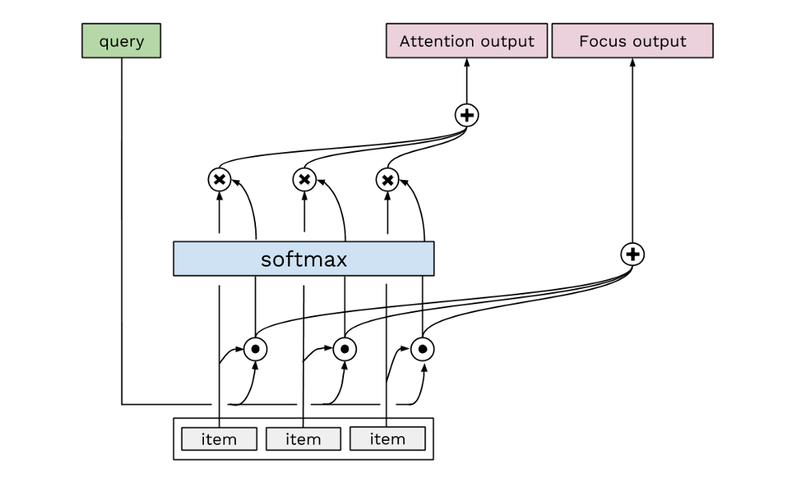 In this article we’ve introduced a new concept for attention networks, the “focus signal”. 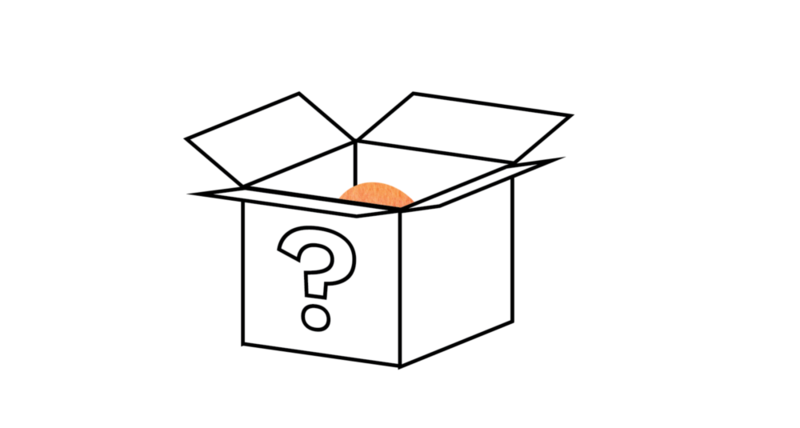 We’ve shown that it’s a robust mechanism for detecting the existence of items in a list, which is an important operation for machine reasoning and question answering. The focus signal successfully detected item existence in all datasets and network configurations tested. We hope that this work helps other teams in tackling the challenge of item-existence and adds more clarity to considering what architecture to use. Octavian’s mission is to develop systems with human-level reasoning capabilities. We believe that graph data and deep learning are key ingredients to making this possible. If you interested in learning more about our research or contributing, check out our website or get in touch. I would like to thank David Mack for the initial idea and helping with much of the editing of this article. I would also like to thank Andrew Jefferson for writing much of the code and guiding me through this write-up. Finally, I would like to thank Octavian for giving me an opportunity to work on this project. The output transformation layers were copied from MacGraph and could possibly be simplified. The sigmoid (σ) layer is definitely unnecessary in this model as it limits the range of the inputs to softmax and therefore prevents the model from being able to train to zero loss (although it can still achieve 100% accuracy since the output is argmax’ed to a one-hot-vector and compared with the label). We don’t believe this complexity invalidates any of the results, but felt compelled to call it out.